After several fatal attacks in the early 1990's, Maui lawmaker Rep. Joe Souki introduced a bill to fund a state-sponsored [shark] hunt. He no longer favors the tactic. Instead, he believes that protecting Hawaii's green sea turtles may be causing more shark encounters. 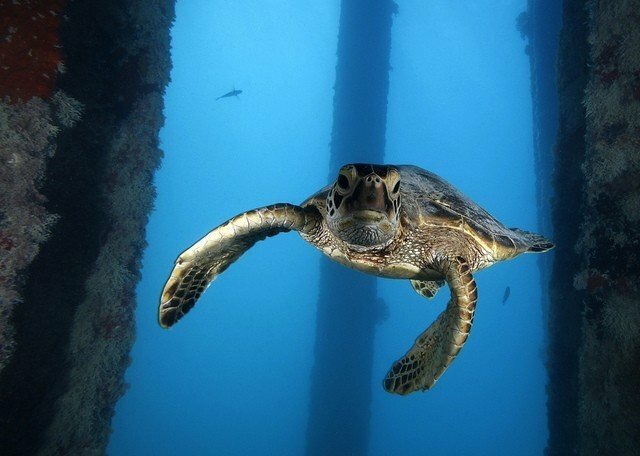 "What we need to do is to lift the ban on turtles as a protected species, and maybe it could start with the Native Hawaiians as they do in Alaska where they allow the natives to go and hunt the whales during the whale season," said Souki. But marine biologists contend that this far-fetched idea won't even work. "The timelines of the turtle recovery and this increase in incidents, those timelines don't match," researcher Kim Holland of the Hawaii Institute of Marine Biology, told Hawaii News Now. "The other thing is that turtles aren't the only thing that sharks eat." Of the seven species of sea turtles, five are listed on the IUCN Red List of Endangered Species as either "endangered" or "critically endangered," because they are often caught as bycatch and have a slow reproduction rate.